The Singaporean startup raised nearly $900 mln in a pricier-than-expected U.S. listing. That suggests investors looked past growing losses for fear of missing out on what could become Southeast Asia’s answer to Tencent or Alibaba. Those comparisons are a stretch. 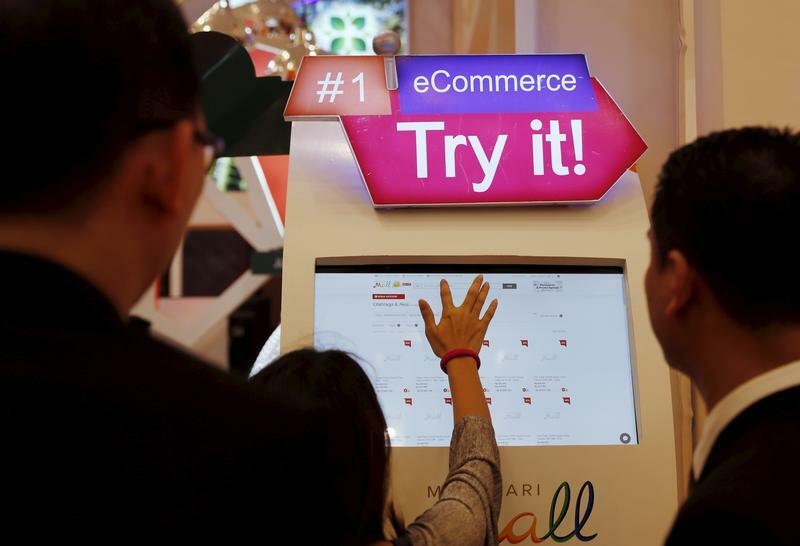 A woman uses a touch screen to access a commerce application during Indonesia E-Commerce Summit & Expo at Serpong district near Jakarta, Indonesia, April 27, 2016. Sea, the Southeast Asian internet company formerly known as Garena, has priced its U.S. initial public offering at $15 per share, the company said on Oct. 20. That is higher than the range of $12 to $14 each at which bankers had originally marketed the shares to prospective buyers, according to IFR. The Singapore-based company has raised $884 million through the sale of nearly 59 million shares, which was roughly 20 percent more than it had originally planned to sell. If a so-called "over-allotment" option is exercised to sell an extra 8.8 million shares, proceeds from the offering will top $1 billion. The IPO values Sea at roughly $6 billion on a fully diluted basis, said a person familiar with the matter. The company will also begin trading on the New York Stock Exchange on Oct. 20. Backed by Chinese internet giant Tencent, Sea was formed in 2009 and operates three main brands – Garena for online games, Shopee for e-commerce and AirPay for digital financial services.